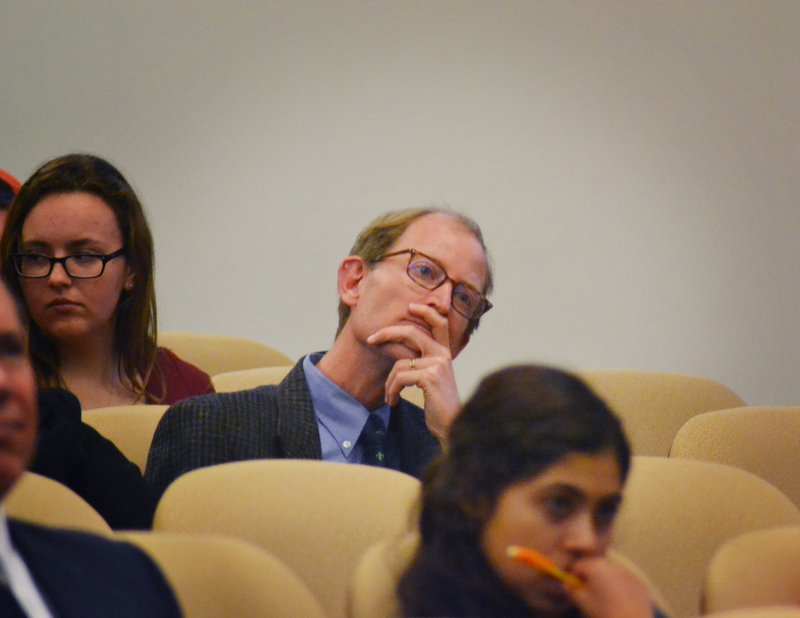 Dr. Anthony Esolen of Providence College lectured on “Liberal Arts and the Christian College in a Post-Christian World.” His lecture drew an eclectic group of educators, students, clergymen and the general public. His talk was similarly eclectic, including a casual recitation of a portion of Dante’s La Vita Nuova and a nod to Kim Kardashian. Even so, his theme was clear. Dr. Esolen spoke of the rare and precious gift that only a Christian liberal arts college can bestow - an education with a heart. Dr. Esolen described to us the state of the students he is currently teaching. He is grateful for the bright eyed and bushy tailed freshmen who “do not yet have mildew growing on their souls,” but instead have unbounded amounts of enthusiasm. They also have a lot to learn. Many step into his Classics courses never having heard of Milton, Tennyson, or Chaucer. Upperclassmen (who are sans the enthusiasm) are also unacquainted with these literary pioneers. This is not their fault, but rather offers a critique of the present state of high school education. The American educational system looks bleak: schools eerily resemble prisons or factories, and should it surprise us when form begins to follow function? Class work places an unhealthy emphasis on 20th century dystopian novels and has a strong aversion to anything that even faintly bears the scent of theology. Dr. Esolen holds that the attempt to excise theology and all traces of Christ from high school education has removed the true core - the heart - of education. According to Dr. Esolen, many secular colleges and universities are no different. Secular universities have abandoned their ties to early and medieval Christian writers. They unknowingly do themselves a disservice by severing themselves from literature brimming with ideas of truth, love, and what it means to be human. Additionally, there is no multidisciplinary dialog. There is no longer a core, no center axle around which the university rotates. Instead, each school or department operates in isolation, training their students in narrow, robotic excellence. Thus, the “university ceases to be a university, but becomes a polytechnical institution,” a place starved of wonder, depth, and meaning. There is no bigger picture, nothing held in common, and nothing to unite a public save a shared zip code. Dr. Esolen went on to say that polytechnical institutions will not continue to grow unchallenged, for students are not machines made to function in a fractured, utilitarian manner. We are humans, “with great heart.” The Christian liberal arts college, he states, recognizes this. Through a liberal arts education and an abiding devotion to theology, these colleges help students keep their sense of wonder through brushes with beauty, providing a place to practice contemplative longing. 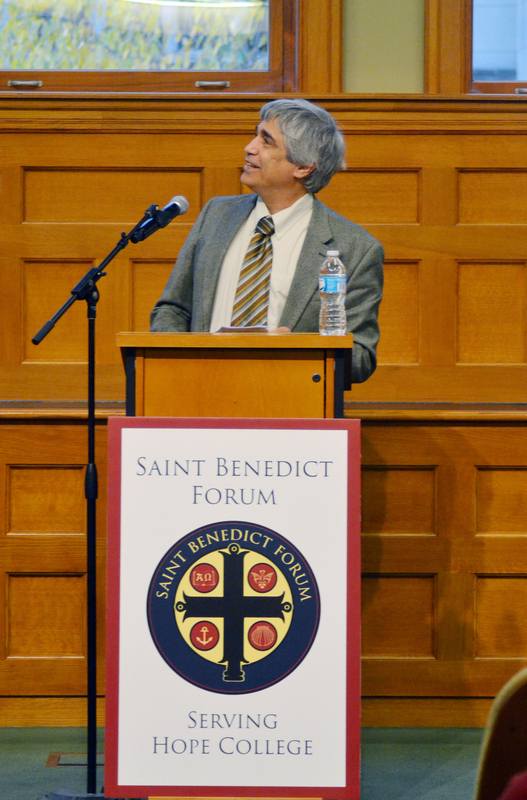 Rather than disenchantment, students and professors alike know that they are “related to one another, embarking on a pilgrimage, and bound by something that transcends all of them.” Dr. Esolen related one such brush with beauty by describing how a former student came to know Christ through exposure to great Catholic-influenced literature. I was not fooled by Dr. Esolen’s soft-spoken character and his unassuming poetical delivery; his lecture was nothing short of a valiant cry for the preservation of beauty, and a charge for both educators and students to “behold” more often. There was nothing piecemeal or utilitarian in his demeanor; his heart was indeed behind his ribs, in his legs, and in his hands. He was guided by the belief that instruction in love, by love, is an education that makes us more human. And I think he might be right. 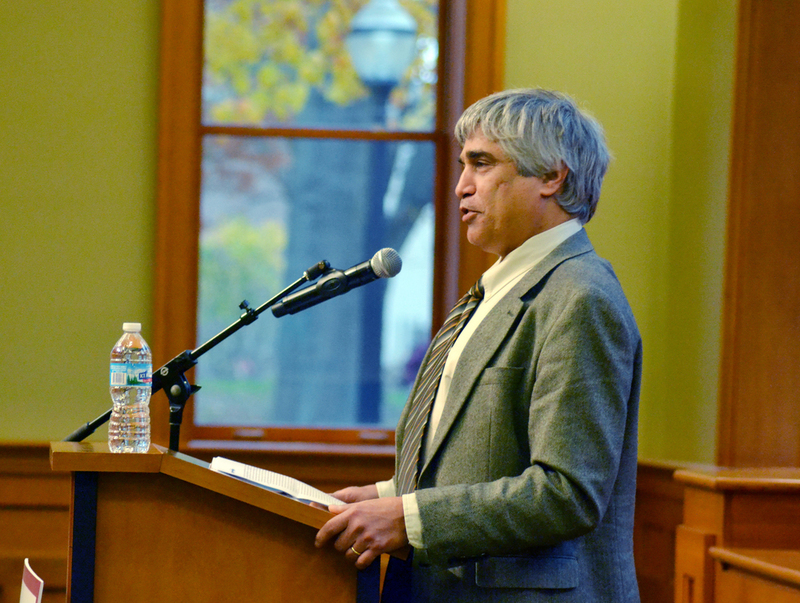 This event was co-Sponsored by Hope College's Religion Department, the English Department, the Philosophy Department, the General Education, Senior Seminar, and Cultural Heritage Programs; Klesis, Markets & Morality, and the Our Sunday Visitor Institute. Anthony Esolen teaches Medieval Literature and Theology, Renaissance Literature, and the Development of Western Civilization at Providence College. He is a senior editor for Touchstone: A Journal of Mere Christianity. He is author of Ten Ways to Destroy the Imagination of Your Child and, most recently, Reflections on the Christian Life. Professor Esolen has also translated Dante’s Divine Comedy. Newer PostAdvent Retreat with Fr. David Meconi, S.J.